You’ve gotta love Pittsburgh, where temperatures can go from 4 degrees to 40 degrees in less than 12 hours! 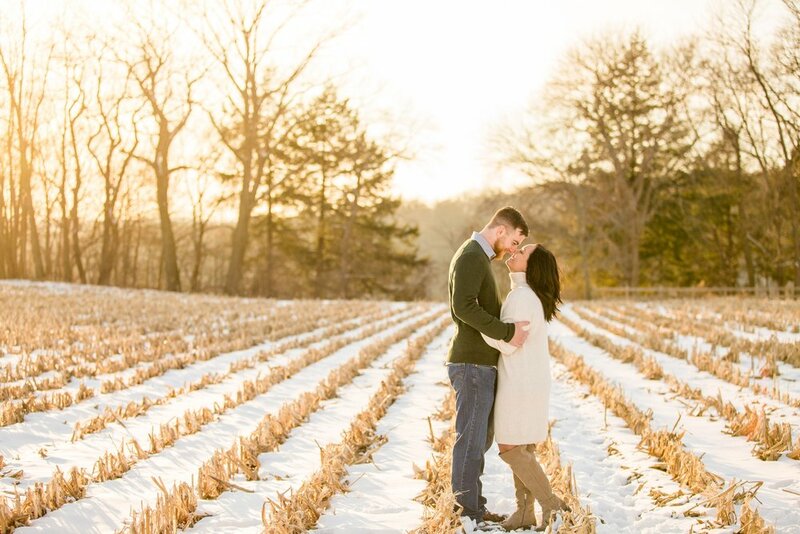 We rescheduled Amanda and Chris’s engagement session twice due to the freezing temps, which ended up being a great choice with the “real feel” and wind temps dipping below zero both times ❄️And in turn, we were rewarded with an almost 40 DEGREE winter afternoon for their winter afternoon session at McConnell’s Mill! And let me tell you - these two totally rocked it!! Amanda and Chris met over the phone, when Chris was working as a tech support rep. Chris quickly became Amanda’s go-to teach support guy, and as they say - the rest is history! But that first call was a pretty significant one, because when I asked these two when they knew each other was ‘the one,’ Chris said: “The first support phone call I had with her. I never wanted to stop talking to her.” Cue the happy tears! 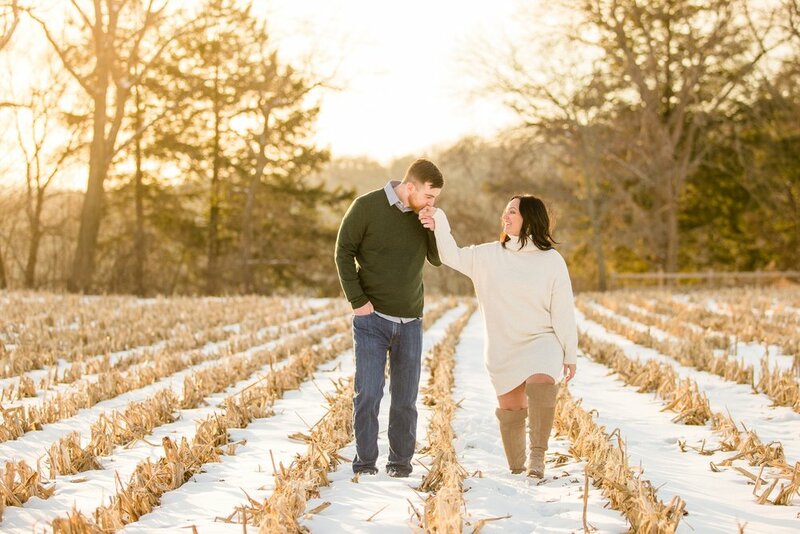 I have a lot of questions I love to ask couples, but one of my favorites is: “What do you admire most about your significant other?” And because Chris and Amanda’s answers to this question are just so sweet (and so telling of how much they love each other! ), I just have to share! Chris: “Her ability to always make me smile or laugh. She managed to do it on our very first phone call, every call after that, and even every day since." 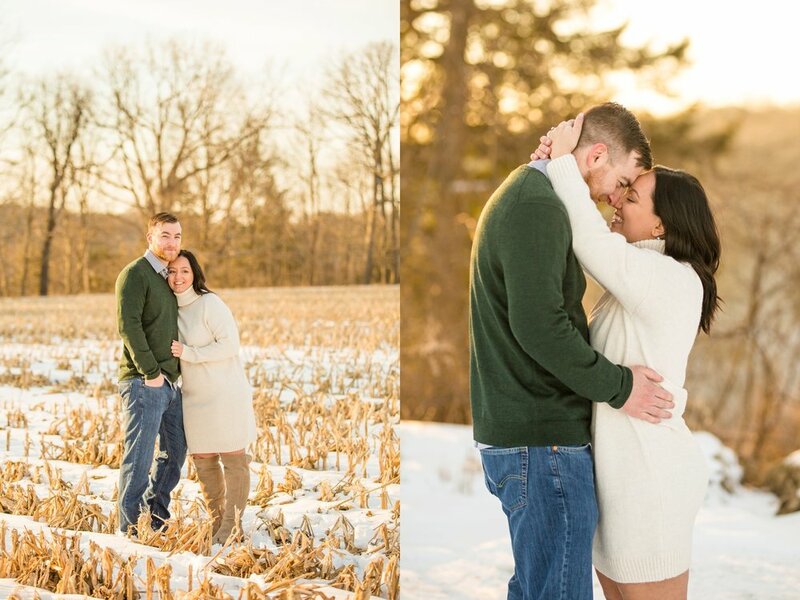 One of my very favorite things about Amanda and Chris’s entire session is how much they laughed together! They literally laughed through the entire session - which, I know, sounds so simple. But it made my job so easy! It’s always so fun to see two people who are truly and genuinely best friends loving their time together!